This week’s photo shoot comes from an air show I attended last weekend. As part of the activities there was also a classic car competition. I love restored classic cars from an aesthetic viewpoint. It seems that “back in the day” automakers almost sculpted the lines and curves on cars. 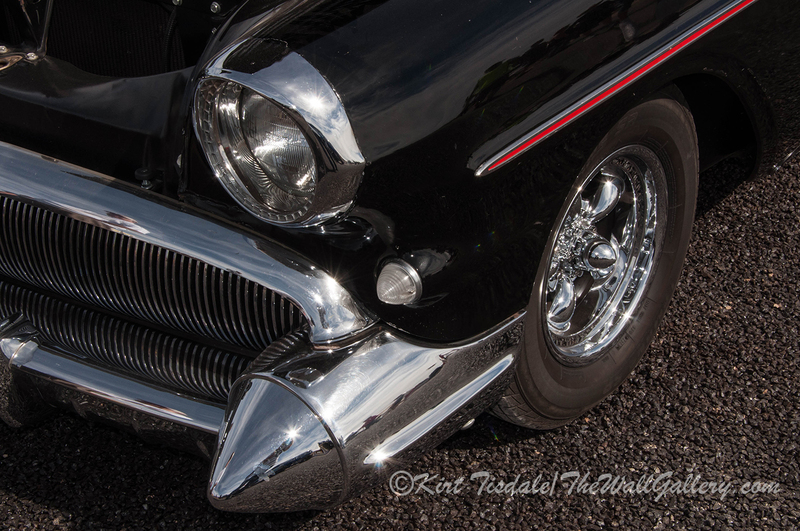 Fenders weren’t just part of the side, they were a statement to themselves. 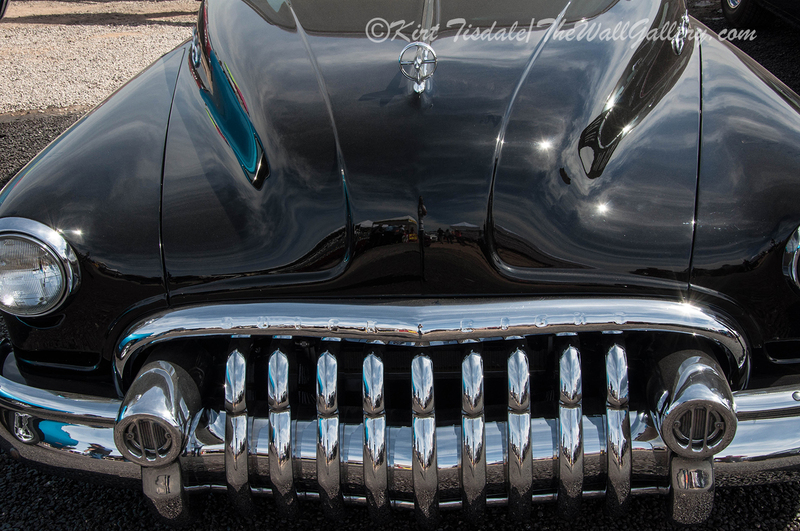 Let’s not forget the front grille, they weren’t just a ventilation system for the engine; they were a calling card about what the car stood for. Was it a muscle car exuding power or a luxury car selling that sleek curvy look? From my perspective, the lines and curves of those great classic cars are an artistic opportunity. I try and shoot elements of the car to tell a story. With that being said, I have attached three separate shots in color and black and white. They both bring different elements to a photograph and tell different stories. The last two shots are not as dramatic between the two as both of those cars were black to begin with. This first shot is a beauty. Look at the color and the pristine condition. I love the curve of the fender up against the curve of the hood. The shine is so clear; you can see the photographer in a reflection on the hood taking the shot. Same shot in black and white. Since there isn’t any color to pull the eye, the lines stand out more. The grille is sleek conforming to the curves of the fender and hood. This shot is a classic for me; I so remember this grille as a kid. It has a strong, sinister look that I know the automaker looked at as a statement of a powerful engine, but to a kid it looked like something coming down the road that could swallow you whole. Same shot in black and white. There isn’t much difference, since the car is black and I’m not pleased with my composition. I know I was trying to cut out a person that was in the frame on the right side of the car, but the end result still needed to be symmetrical from this perspective. Not one I will use, but wanted to at least show the massive death grinning grille. The last shot is a focus on the headlight and bumper. The bumper looks like it’s packing a torpedo; can anyone say “James Bond”? Again the black and white isn’t much different since the car was black to begin with, but it pulls the eye to the curves and contrast between the chrome and black. 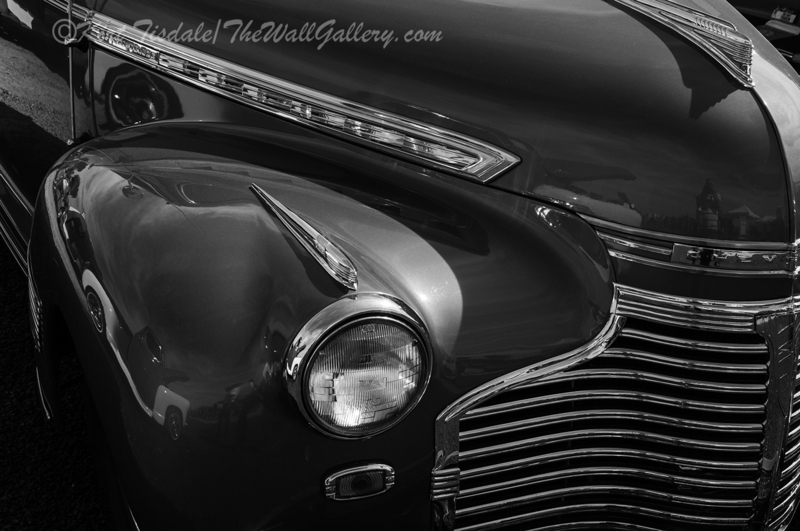 This entry was posted in Black and White Photography, Color Photography, Photography and tagged automobiles, car show, cars, classic cars, kirt tisdale, online art gallery, photographer on February 27, 2015 by Kirt D Tisdale. 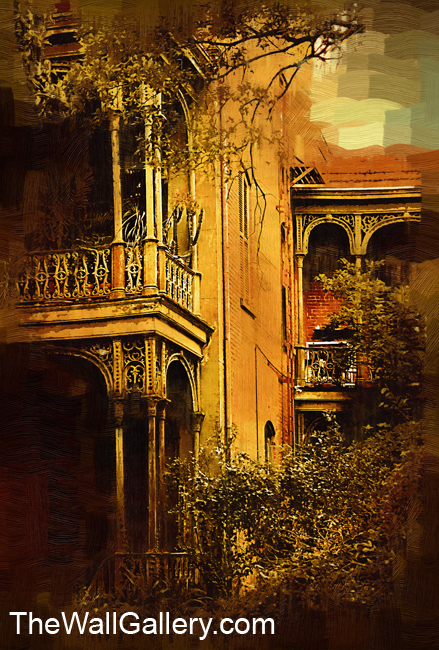 “New Orleans Victorian” is an art print I am featuring from my Architecture Gallery. 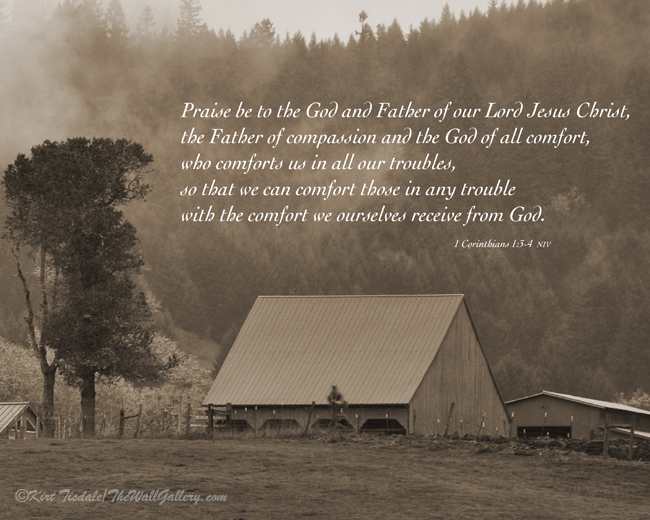 The print was created using a gothic technique that creates an old world look using earth tones and bold brush strokes. Using this style with the subject matter seems a perfect fit. The setting is the garden district of New Orleans with large mansions and tree lined streets. I love the look of this particular house with all of the architectural detail. Notice the intricacies of the railings and support posts. I think the technique I used with this print creates an old world look with the rich earth tones. Thoughts? This entry was posted in Art Prints, Landscapes: Oil and tagged art gallery, artist kirt tisdale, historic building, interior design, New Orleans, online art gallery, Victorian on February 23, 2015 by Kirt D Tisdale. 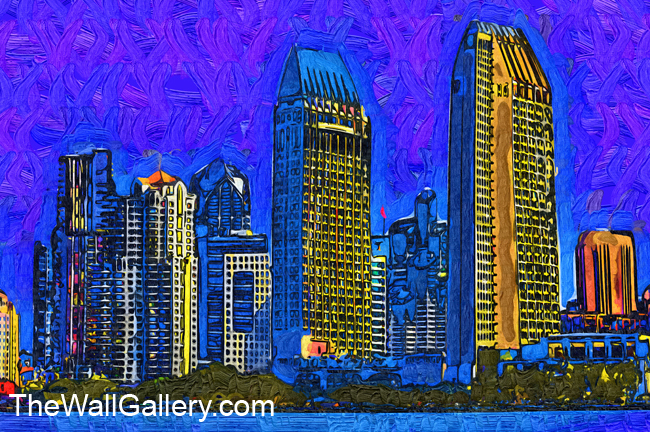 “San Diego In Abstract” is an art print I am featuring from my Cityscapes Gallery. The print was created using a Fauvism technique that creates abstract shapes and bold surreal colors. The Fauvism style dates back to around 1905 from Paris. It was known for impressionistic creations with non-naturalistic colors. I like the concept applied to a number of prints as it creates a very modern abstract look for a contemporary interior design. The setting is some of the high-rise towers in downtown San Diego. The two most prominent buildings in this rendering are the Hyatt Towers. Atop the one tower is a bar with floor to ceiling windows overlooking San Diego Bay across to Coronado Island and clear out to Point Loma, the entrance to the bay from the Pacific Ocean. At the base of the towers is Seaport Village, a popular spot for tourist with its restaurants and shops. I think the technique I used with this print creates an abstract look with a touch of bold whimsical shapes and colors. Thoughts? 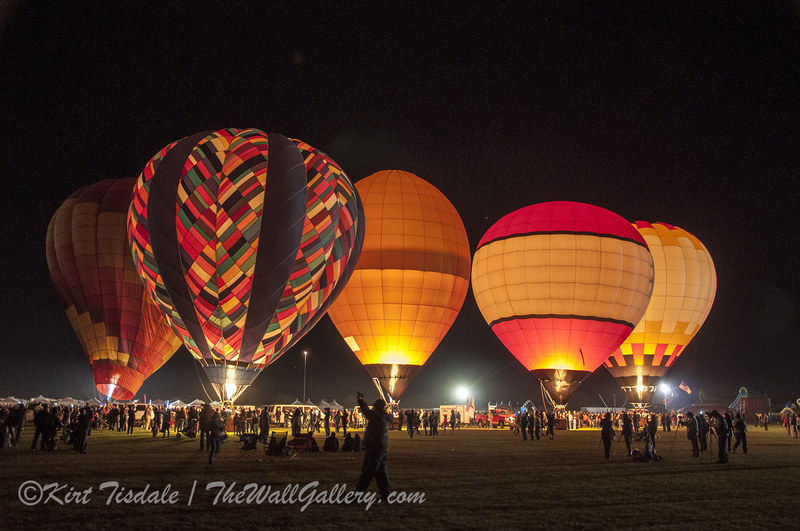 I invite you to visit my Cityscapes Gallery to enjoy this print and many more. 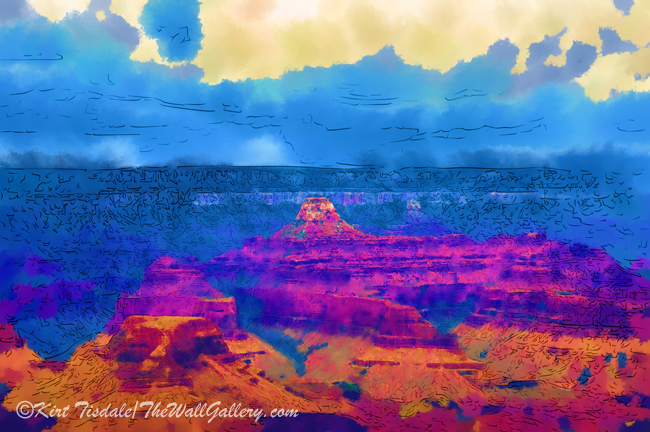 This entry was posted in Abstract Oil, Art Prints, Landscapes: Oil and tagged abstract art prints, art gallery, artist kirt tisdale, interior design, online art gallery, san diego on February 19, 2015 by Kirt D Tisdale. 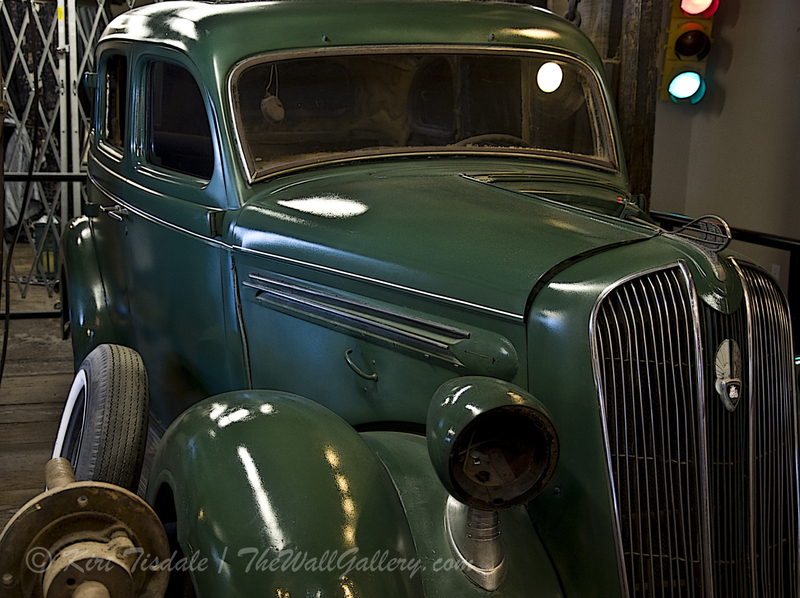 This week’s photo shoot circles back to simplicity in subject matter and in a photo shoot itself. I look at opportunities as they present themselves and then grab my camera. 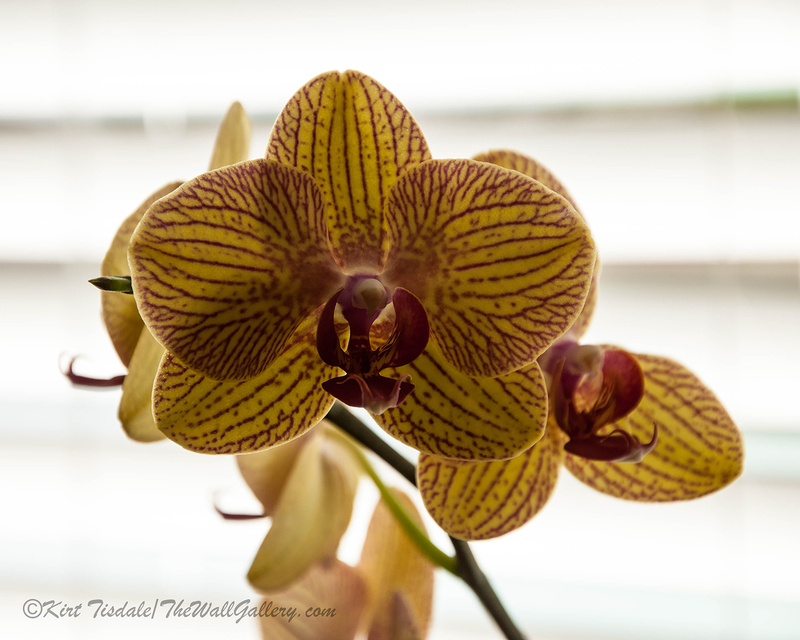 The orchid blooms in this weeks pictures are on a plant that was given to my wife last month from my sister as a birthday gift. 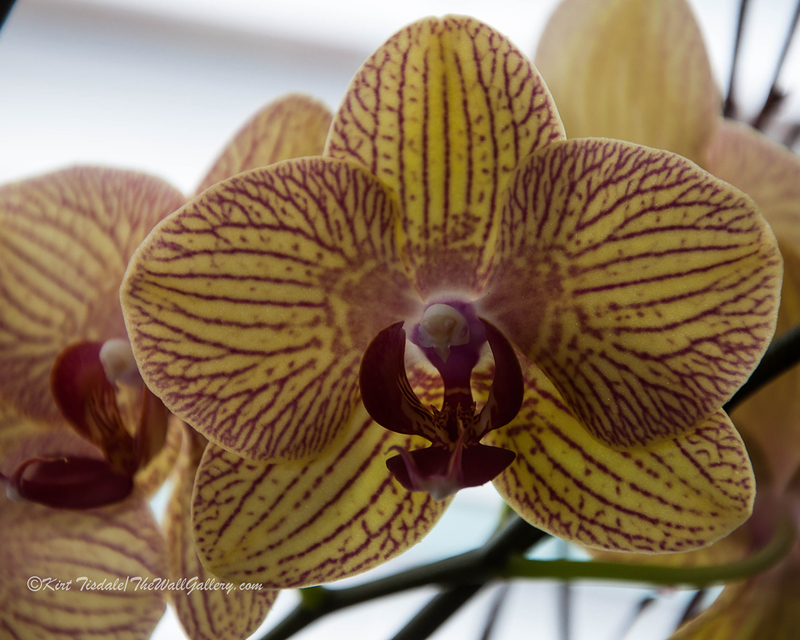 My sister knows how my wife loves orchids and also knew she didn’t have any blooming at this time. My wife placed the plant in our dining room to add some color. I have been looking at this plant for a month now and find the coloring very unique. I keep thinking I should do some macro shots, but haven’t found the time to get my light box out to take shots in a controlled environment (lighting and background). Today, the way the light was coming in through the blinds on the window behind the plant caught my attention. I went and got my camera and have attached 5 shots for what was a quick and easy photo shoot. I really like macro flower blooms for art prints where the lighting is directional and the background is either white or black. I think of it as simplicity in the visual experience of art prints. Today I decided I wasn’t going to go to all that trouble and kept the lighting the way it was and didn’t move anything in the background. 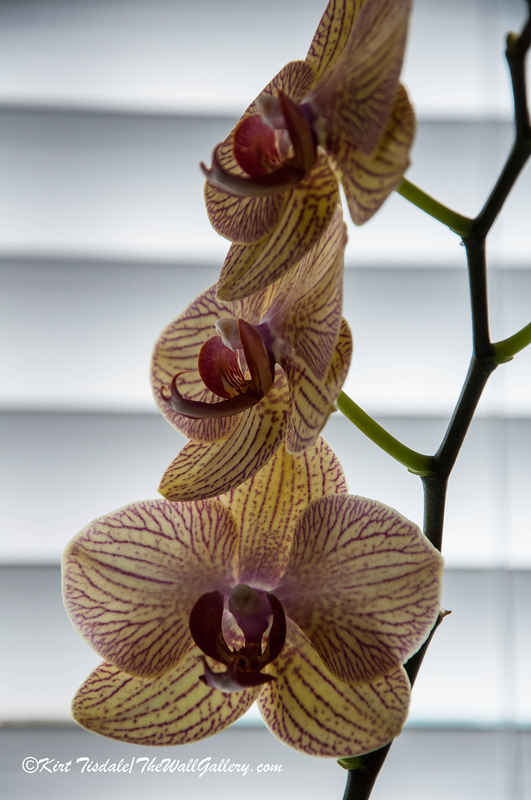 I think the horizontal slats of the blinds added a linear contrast to the delicate shapes of the blooms. The result accents the shear beauty of these particular blooms. The shoot lasted all of 5 minutes. 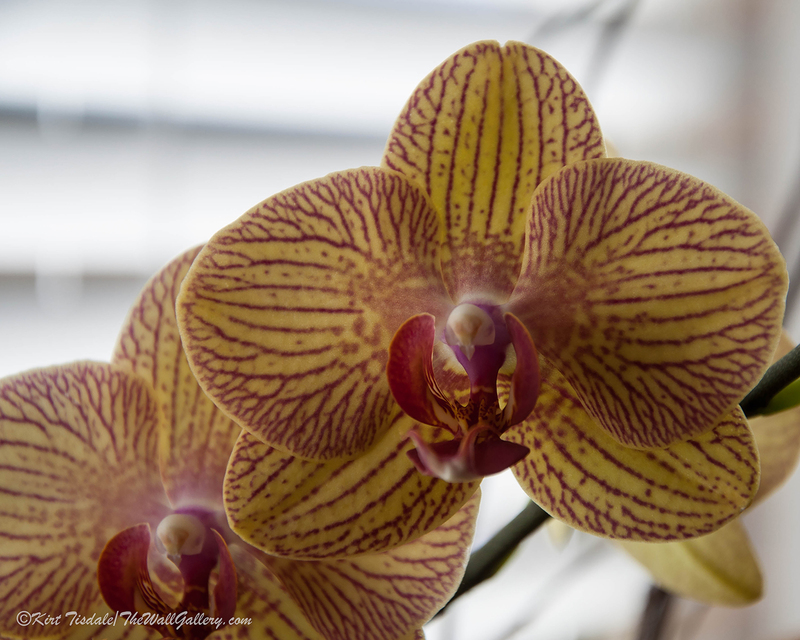 I shot from various angles without disturbing the plant or adjusting the lighting. This is simplicity in subject matter and in the shoot itself. Thoughts? 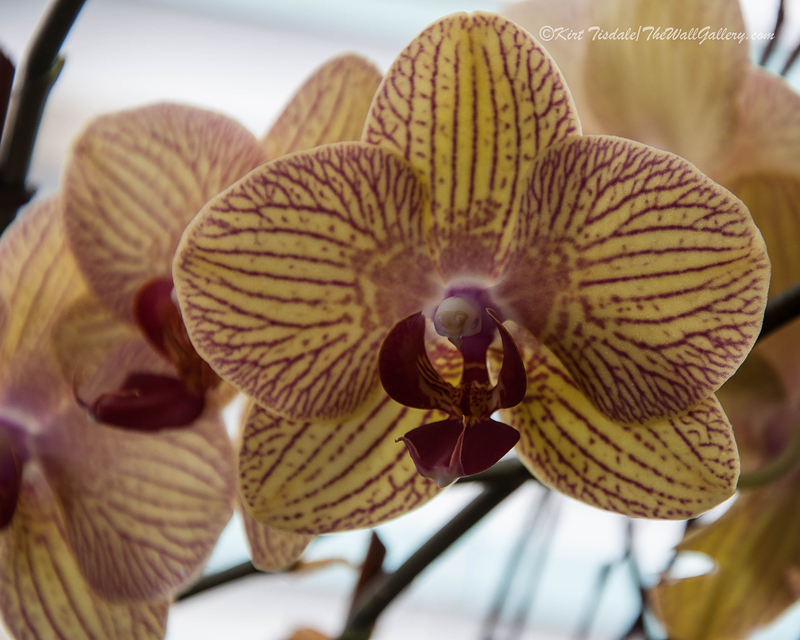 This entry was posted in Art Prints, Color Photography, Photography and tagged floral, flowers, interior design, kirt tisdale, online art gallery, orchid blooms, orchids, photographer on February 15, 2015 by Kirt D Tisdale. 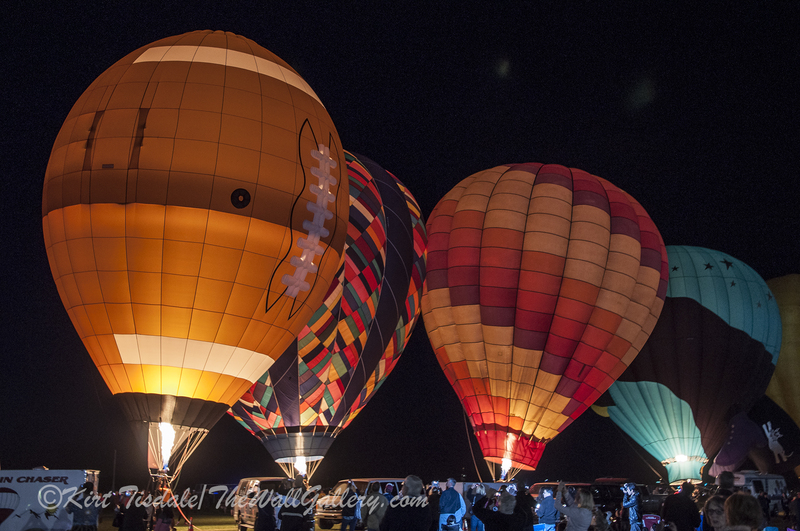 In last week’s post of the Super Bowl football stadium, I alluded to the fact that we stopped at the stadium on our way to a hot air balloon festival. Today I want to share shots from that event. We timed our arrival right at dusk along with a million other people. After about 45 minutes just to get into the grounds of the festival and park, we were off to enjoy the part we wanted to experience and that is called the “Desert Glows”. 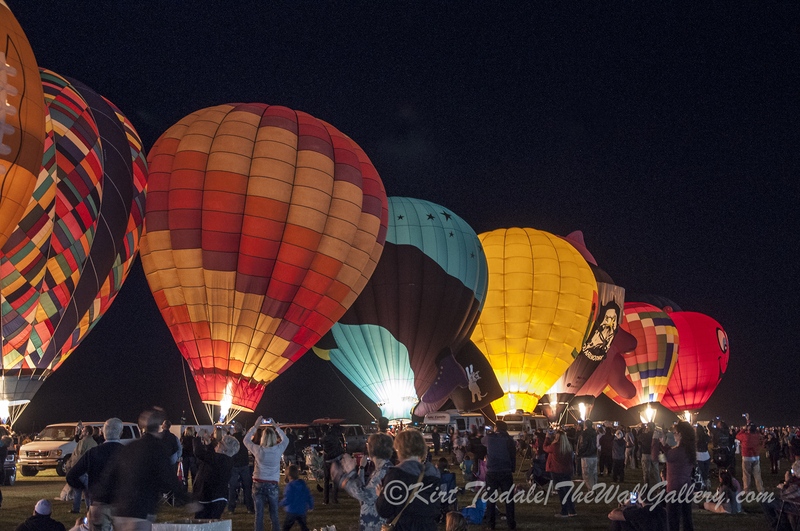 As dusk approaches, the balloon operators start filling the envelopes with hot air inflating the balloons one by one. 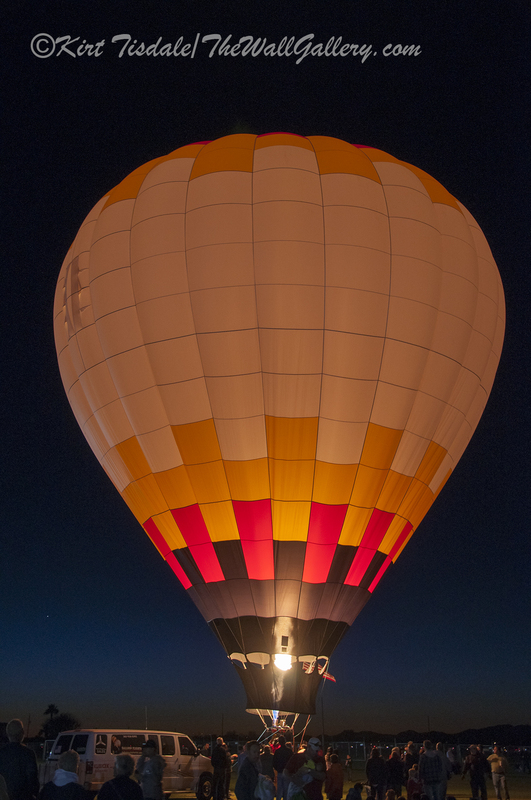 As the sky darkens, an announcer comes over the loudspeaker and introduces the balloon operators. 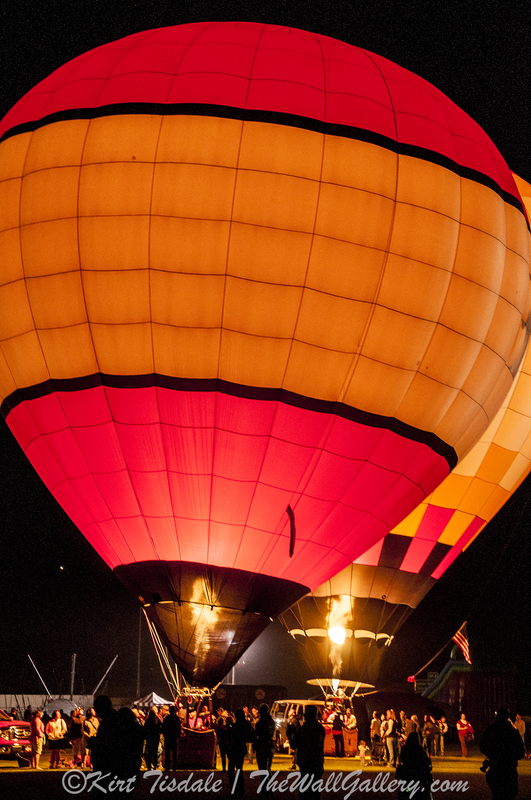 Then music is started and the balloons are coordinated as they light themselves up in beat to the music. 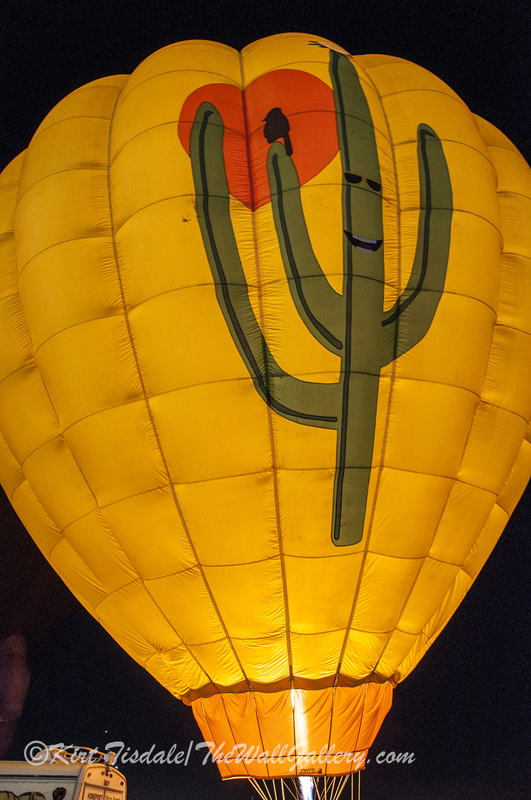 Without further ado…seven shots from the Avondale, Arizona 2015 Hot Air Balloon Festival’s “Desert Glows”. 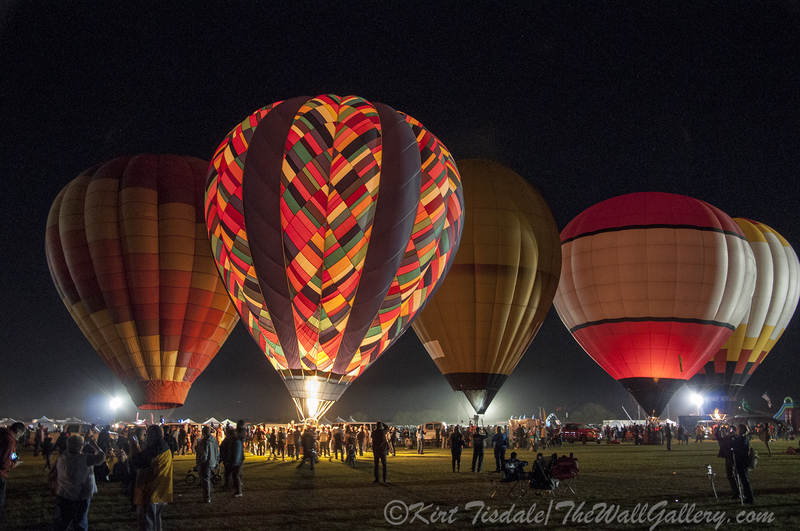 This entry was posted in Art Prints, Color Photography and tagged arizona, avondale arizona, balloons, color, desert, hot air balloons, interior design, kirt tisdale, online art gallery, photographer, photography on February 6, 2015 by Kirt D Tisdale. “Wine Tasting” is an art print I am featuring from my Street Scenes/People Gallery. The print is done using an impasto oil technique of an outdoors setting used for wine tasting. This style uses bold brush strokes and strong primary colors. I like what the bold brush strokes have created. There is a lot of detail in this art print, yet the large brush strokes simplify the shapes while creating warm texture. My goal in this art print was to draw the viewer in and make them want to spend time wine tasting in this setting. The shaded area in the foreground becomes more prominent with the subtle sunshine in the background. Not one to miss details; let’s not forget the one wine glass left on the back table. Is it left or is it yet to be served? 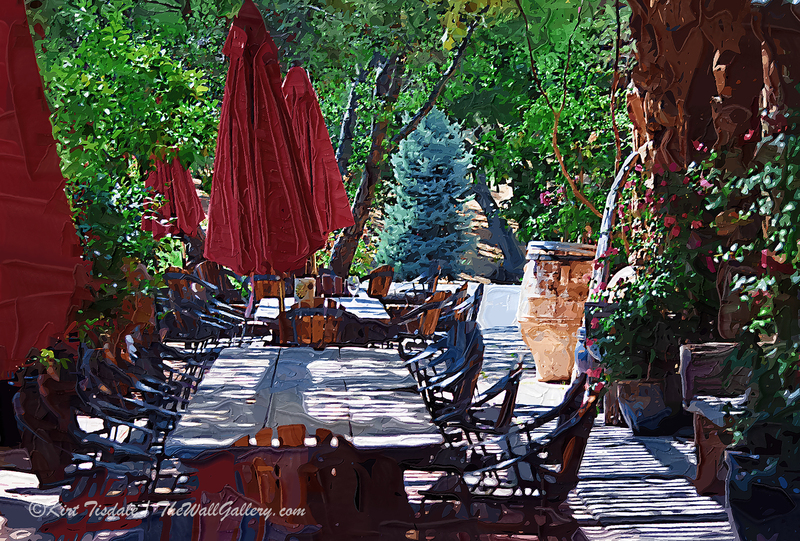 The setting for this particular art print is the Kuleto Winery in Northern California. The winery is privately owned and a reservation is required for tours and wine tasting. It sits way up on a hill overlooking the Napa Valley. This particular setting is one of many they offer to sit and enjoy the afternoon sampling wine. Can you see yourself enjoying an afternoon with friends wine tasting in this setting? I invite you into the Street Scenes/People Gallery to view additional art prints. 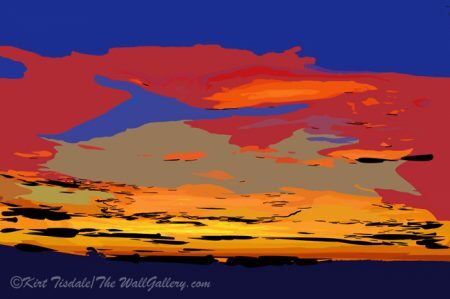 This entry was posted in Art, Art Prints, Landscapes: Oil and tagged art galleries, artist kirt tisdale, contemporary artist, interior design, kuleto winery, online art gallery, vineyard, wine, winery on February 4, 2015 by Kirt D Tisdale.